Remember when Gwen Stefani had braces? 1. Ginger Spice is 40! 2. The Craft was released closer to the fall of the Berlin Wall than now. 3. They stopped making the Samantha American Girl doll four years ago. 4. This is what Ethan Embry, your crush from Can't Hardly Wait, looks like now. 5. My So-Called Life is as old as JUSTIN BIEBER. They were both born in 1994. 6. The pilot episode of Blossom aired 22 years ago. 8. This is how teenagers dress for their '90s parties. 9. '90s radio stations now qualify as "oldies." 10. It's been 10 years since Joey chose Pacey. Thank the lord. 11. Cher Horowitz would be 33 years old now. 12. The last time you saw Sassy magazine on a newsstand, it was 1996. God help us! 13. River Phoenix died 20 years ago. 14. It's been 14 years since you and Gwen Stefani had braces at the same time. 15. If Herbal Essences has been looking familiar lately, it is — they've gone back to their "vintage" '90s-inspired packaging. 16. Tamagotchi has been reinvented as an APP. 17. This is what Skip-It looks like now. It's a Twister Rave Skip-It? I'm so confused. 18. You can find your old platform sneakers on the vintage section of Etsy. People are actually buying these things. 19. They're buying them NEW, too. 20. Corey and Topanga are married with kids now. And we met them 20 years ago. 21. It's been so long since you ordered from the Delia's catalog that you forgot you had to actually do it like this. 22. You saw Titanic in the theater 15 years ago. 23. Your Disney watches are worth bank now. 24. As is your old Lisa Frank stuff. 25. You haven't watched a new episode of Daria in 11 years. 26. Remember Jane cosmetics? They just made a "comeback" and the brand has relaunched after going bankrupt in 2009. 27. The Friends episode where Ross and Rachel get married happened 14 years ago. 28. Selena Gomez was born in 1992. That is all. 29. Jennifer Love Hewitt was on the first cover of Teen People 15 years ago... and she was featured for Party of Five. 30. Madonna performed "Vogue" at the MTV Video Music Awards 23 years ago. 31. 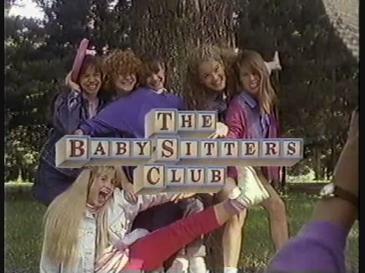 You haven't seen the Baby-Sitters Club on TV in 23 years. 34. This happened in our lifetime. As to how this ever happened... that remains a mystery. 1999 was apparently a dark year. But you've forgotten that.